You are here: Home / News / Thanksgiving Holiday Hours! Heads up! 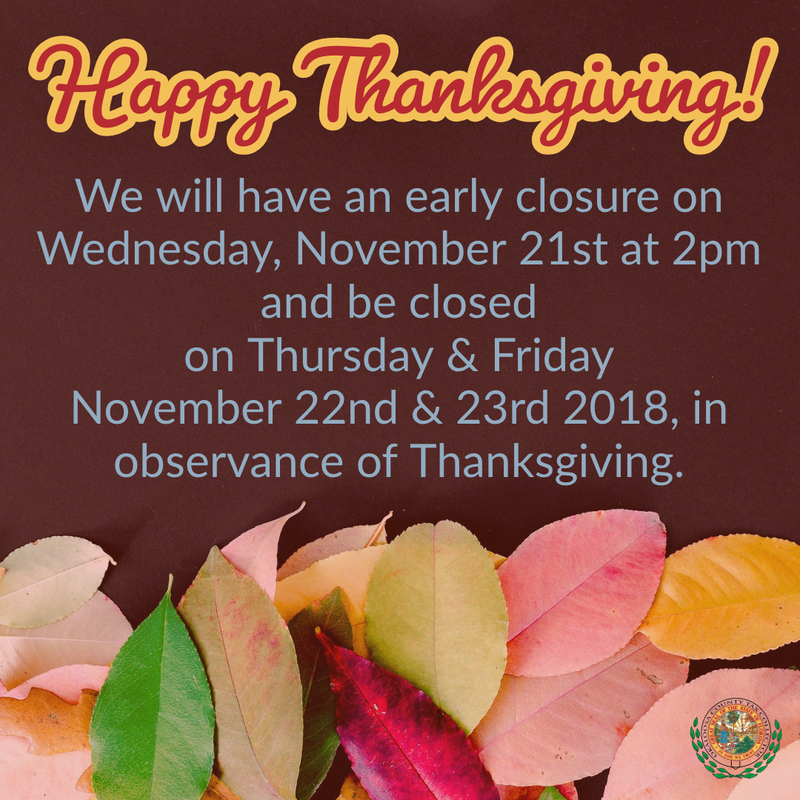 We will have an early closure on Wednesday, November 21st at 2pm and be closed on Thursday and Friday in observance of Thanksgiving! Happy Thanksgiving! Enjoy your family time and all the delicious food!